Energi Mine aims to decentralize the $2 trillion global electricity markets which are naturally closed and controlled by a handful of large players. Energy companies are currently incentivised to sell more energy and at the highest possible price. The market for power (electricity) generation is naturally becoming decentralised, in that more and more individuals and businesses are generating their own energy through renewables. However, they are still selling this energy back to the big energy companies. Energi Mine is creating a platform that matches customers with smaller generators, as well as creating a global eco-system whereby users are rewarded with tokens (Energi Tokens – ETK) for energy-efficient behaviour. We believe that when it comes to energy, reward mechanisms must have a financial benefit to the user before behavioural change occurs. Therefore, we believe that the tokenisation of the market will be the only real driver to create a more energy-efficient system. For example, if a commuter is encouraged to use public transport by the Local City Authority, they could be rewarded by being given ETK. ETK then has a cash value, but could also be used to pay directly for the commuter’s domestic energy bill, or charge their EV. 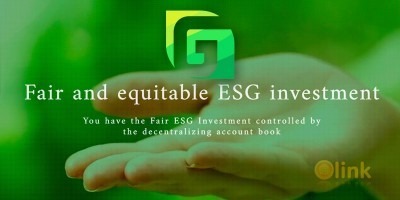 Our goals are to reduce energy consumption globally, and create a token-based platform, which provides financial incentives to reward energy saving behaviour. Energi Mine is an existing business, based in our own offices in Manchester, UK – run by an experienced team of both energy and tech professionals. The business currently focuses on the business sector, and manages over $140m worth of energy on behalf of over 1,100 sites across Europe with existing revenue of $500,000. The team deploys Deep Learning/AI models to manage energy consumption on behalf of corporate clients, leading to more efficient service delivery in a very manual sector. ✅ COMMENTS: ICO "Energi Mine"